Israeli forces have continued with systematic attacks against Palestinian civilians and their property in the occupied Palestinian territories (oPt) for the reporting period of 26 February - 04 March 2015. During the reporting period, a Palestinian civilian was killed and his brother was wounded due to the explosion of an object of the Israeli forces' remnants left during the latest Israeli offensive on the Gaza Strip. Israeli forces also wounded 14 Palestinian civilians, including 5 children and 2 photojournalists, in the West Bank. In the Gaza Strip, Israeli forces continued to chase and target Palestinian fishermen in the Gaza Strip sea. In the West Bank, Israeli forces continued the use of excessive and systematic force against peaceful protests organized by Palestinian civilians and Israeli and international solidarity activists against the construction of the annexation wall and settlement activities in the West Bank. As a result, 4 Palestinian civilians, including a child and 2 photojournalists, were wounded. In the same context, 9 Palestinian civilians, including 4 children, were wounded during other protests organized at the southern entrance of al-Jalazoun refugee camp and Silwad village near Ramallah, and in Hebron. On 03 March 2015, a 20-year-old civilian sustained a bullet wound to the right leg when Israeli forces moved into Qabatya village, south of Jenin. In the Gaza Strip, on 28 February 2015, a 21-year-old civilian was killed and his 17-year-old brother was seriously wounded due to the explosion of an object of the Israeli forces' remnants left during the latest Israeli offensive on the Gaza Strip. They found that object while transporting sand from a street near their house to the house by a motor cart in the east of Rafah in the south of the Gaza Strip. In the context of targeting fishermen, Israeli navy forces opened fire 4 times at Palestinian fishermen and fishing boats in the Gaza Strip sea on 26 and 27 February and 02 and 04 March 2015. As a result, the fishermen were frightened and sailed back to the shore, but neither casualties nor material damage were reported. During the reporting period, Israeli forces conducted at least 56 military incursions into Palestinian communities in the West Bank and 9 ones in East Jerusalem. During these incursions, Israeli forces arrested at least 32 Palestinians, including 11 children. Thirteen of these Palestinians, including 4 children, were arrested in Jerusalem. On 02 March 2015, Israeli forces raided the house belonging to Mohammed Hashayka (23) in Beitounia village, west of Ramallah, to arrest him. They used sniffer dogs and attacked his family. On 26 February 2015, Israeli forces backed by military vehicles and accompanied with a vehicles belonging to the Construction and Organization Department in the Israeli Civil moved into Kherbet al-Majaz area in the eastern area of Yata, south of Hebron. The Civil Administration officer handed 2 civilians 2 notices to stop the construction work in 2 residential tents. On 28 February 2015, Israeli forces prevented Palestinian farmers from reclaiming their lands in al-Sahlat area, south of Qaryout village, southeast of Nablus. They claimed that that these lands are located in "C" areas according to the Oslo accords. On 03 March 2015, Israeli forces accompanied with a vehicle from to the Construction and Organization Department in the Israeli Civil raided a stone-pet belonging to Jamil Khalil al-Tarwah on the Hebron-Jerusalem Road, 300 meters to the north of Beit Ummar village. The Civil Administration officer claimed that the Israeli authorities handed a notice to the aforementioned civilian not to construct and expand the work in the stone-pet in 1998. On 26 February 2015, the teaching staff of 'Oarif High School for Boys, southeast of Nablus, was surprised with the attack on the school by a group of settlers expected to be from "Yatsahar" settlement and writing slogans against Arabs in addition to drawing David Star at the main entrance of the school. On 28 February 2015, a group of settlers from "Metsbi Ya'ir" established on the Palestinian lands confiscated from southeast of Yata, south of Hebron uprooted and cut down 180 olive seedlings belonging to Houshiyah family. During the reporting period, Israeli soldiers used excessive force against peaceful demonstrations organized by Palestinian civilians, international and Israeli human rights defenders in protest at the construction of the annexation wall and settlement activities in the West Bank. As a result, 4 Palestinian civilians, including a child and 2 photojournalists, were wounded. In the same context, 9 Palestinian civilians, including 4 children, were wounded during protests at the southern entrance of al-Jalazoun refugee camp, north of Ramallah, Silwad village, northeast of the city, Hebron, and the eastern entrance of Azzoun village, east of Qalqilya. During the reporting period, Israeli forces arrested and/or detained for hours 7 protestors, including 2 Israeli solidarity activists, member of Hebron Defense Committee and a fieldworker of al-Haq. At approximately 14:15 on Thursday, 26 February 2015, a protest organized by Palestinian civilians and international solidarity activists headed from Ezbet al-Tabib village, east of Qalqilya, to the eastern side of the village, which is threatened to be confiscated, near the main street (55). The protestors chanted slogans against settlement activities. Once they reached the abovementioned area, Israeli forces fired sound bombs, and tear gas canisters. As a result, a number of protestors suffered tear gas inhalation. Israeli forces also detained Alaa Mohammed al-Dweiri (20) and Ehab Lo'ay Taha (18) for an hour and a half. Following the Friday prayer, on 27 February 2015, in spite of the bad weather, dozens of Palestinian civilians and international and Israeli human rights defenders organized a peaceful demonstration in Bil’in village, west of Ramallah, in protest at the construction of the annexation wall and settlement activities. The protestors marched by the annexation wall and tried to cross the fence. Israeli soldiers stationed behind the wall in the western area, and a large number of soldiers deployed along it, fired live bullets, tear gas canisters, rubber-coated steel bullets, sound bombs and wastewater at them and chased them into the olive fields. As a result, 2 Palestinians, including a child, were wounded and then taken to Palestine Medical Compound in Ramallah. Moreover, Israeli forces arrested 4 protestors, including a woman and 2 Israeli solidarity activists. The two Palestinians were taken to Ofer detention facility, southwest of the city, while the 2 Israeli activists were taken to an unknown destination. A 17-year-old child sustained a bullet wound to the right knee and a 39-year-old male sustained a bullet wound to the head. The detainee were identified as: Abdullah Radhi (40) and Hanan Shalabi (30). Around the same time, dozens of Palestinian civilians and Israeli and international human rights defenders organised a peaceful demonstration in al-Nabi Saleh village, southwest of Ramallah, in protest at the Annexation Wall and Settlement Activities. The demonstrators made their way in the streets raising the Palestinian flags and chanting slogans against the occupation, and then they headed to the lands that the settlers are trying to rob by force near “Halmish” settlement. Israeli forces had closed all the entrances of the village since the morning to prevent Palestinian and international activists and journalists from participating in the demonstration. When they arrived at the aforementioned land, demonstrators were met by live bullets, tear gas canisters, rubber-coated steel bullets, sound bombs and skunk water and were chased into the village. As a result, many demonstrators suffered tear gas inhalation and other sustained bruises as Israeli soldiers beat them up. 1. Abdul Rahim Omer Quosini (47), who works for Reuters news agency. He was hit by a gas canister to the neck. 2. Nidal Sahfiq Taher Ishtaya (41), who works for a Chinese news agency. He was hit by 3 sound bombs to the right leg, left leg and back. He also sustained a bullet wound to the thigh. At approximately 13:30 on Friday, 27 February 2015, a protest organized by Palestinian civilians and international and Israeli solidarity activists in the center of Ezbet al-Tabib village, east of Qalqilya, to the eastern side of the village, which is threatened to be confiscated, to plant olive seedlings. After the protestors had planted about 30 seedlings, Israeli forces started firing sound bombs and tear gas canisters. They also detained 2 Israeli activists for 2 hours and released them after the Israeli police arrived. At approximately 11:15 on Thursday, 26 February 2015, a protest organized by Palestinian civilians to mark the launch of the Democratic Front headed from Azzoun village, east of Qalqilya, to the eastern gate of the village that has been closed since 1994. They chanted slogans calling for reopening the gate. Israeli forces immediately fired sound bombs, tear gas canisters and rubber-coated metal bullets. As a result, 3 Palestinian civilians sustained bullet wounds. A 19-year-old civilian sustained 2 bullet wounds to the right hand and back, an 18-year-old civilian sustained a bullet wound to the left leg and another 18-year-old civilian sustained a bullet wound to the right leg. Following the Friday prayer, on 27 February 2015, dozens of Palestinians gathered at the western entrance of the Silwad village, northeast of Ramallah, on the road between Silwad and Yabroud villages, near Bypass road (60), in protest at the Israeli policies. The protestors set fire to tires and threw stones and Molotov Cocktails at the aforementioned road and Israeli soldiers. In response, Israeli soldiers stationed in the area fired live ammunition, rubber-coated bullets, sound bombs and tear gas canisters at the protestors. As a result, a 17-year-old child sustained a bullet wound to the head and an 18-year-old civilian sustained a bullet to the head too. Both of them were taken to Palestine Medical Compound in Ramallah. Also following the Friday prayer, dozens of children and young men gathered at the southern entrance of al-Jalazoun refugee camp, north of Ramallah. They were about 300 meters away from the fence of "Beit Eil" settlement. Israeli forces stationed in the area fired live ammunition, rubber-coated metal bullets, sound bombs and tear gas canisters. As a result, a 16-year-old male sustained a bullet wound to left thigh, a 16-year-old child sustained a bullet wound to the left leg and a 17-year-old child sustained a bullet wound to the right thigh. They were taken to Palestine Medical Compound in Ramallah. On the same day, dozens of Palestinians and international and Israeli solidarity activists gathered near Ali mosque, south of Hebron, to protest against settlement activities, to mark the massacre committed in the Ibrahimi Mosque and to demand reopening al-Shuhada street. They made their way in the streets raising the Palestinian flags and chanting slogans against the occupation. Once they reached al-Zahed area, Israeli soldiers deployed in the area and started pushing the protestors and firing sound bombs. The protestors disperse while some youngsters threw stones at the soldiers, who fired Toto bullets in response. As a result, 32-year-old Palestinian sustained a bullet wound to the right knee. He was taken to al-Ahli hospital, where he underwent a surgery. Moreover, Israeli forces detained Hesham al-Sharabti, a fieldworker of al-Haq, for 2 hours. At approximately 13:00 on Saturday, 28 February 2015, dozens of Bir Zeit university students gathered near Attarah checkpoint, north of Birzait village, north of Ramallah, to be in solidarity with Lina Hattab. They proceeded to the checkpoint, but Israeli forces closed it to prevent the protestors from heading to Oyoun al-Haramiya Street that is used by settlers. Israeli soldiers started firing sound bombs and tear gas canisters under the pretext stones were thrown at them. As a result, a number of protestors suffered tear gas inhalation and other sustained bruises as they were beaten up by Israeli soldiers. Israeli forces continuously tighten the closure of the Gaza Strip and close all commercial crossings, making the Karm Abu Salem crossing the sole commercial crossing of the Gaza Strip, although it is not suitable for commercial purposes in terms of its operational capacity and distance from markets.Israeli forces have continued to apply the policy, which is aimed to tighten the closure on all commercial crossings, by imposing total control over the flow of imports and exports. · Hebron: Israeli forces have continued to impose severe restrictions on the movement of Palestinian civilians. At approximately 16:00 on Thursday, 26 February 2015, Israeli forces established a checkpoint at the northern entrance of Hebron. Later, the checkpoint was removed, and no arrests were reported. At approximately 07:00 on Friday, 27 February 2015, Israeli forces established a checkpoint at the entrance of Ethna village, west of Hebron. At approximately 17:00, Israeli forces established another checkpoint at the southern entrance of Halhoul, north of Hebron. Later, both checkpoints were removed, and no arrests were reported. At approximately 07:00 on Saturday, 28 February 2015, Israeli forces established a checkpoint at the entrance of Ethna village, west of Hebron. Around the same time, another checkpoint was established at the northern entrance of Dura. At approximately 17:00, a checkpoint was established at the entrance of Beit 'Awa village, southwest of Dura, southwest of Hebron. Later, the checkpoints were removed and no arrests were reported. At approximately 17:00 on Sunday, 01 March 2015, Israeli forces established a checkpoint at the eastern entrance of Hebron (al-Fahs). Later, the checkpoint was removed and no arrests were reported. At approximately 08:00 on Monday, 02 March 2015, Israeli forces established a checkpoint at the entrance of Sa'ir village, east of Hebron. Around the same time, another checkpoint was established at the northern entrance of Yata, south of the city. Later, both checkpoints were removed, and no arrests were reported. At approximately 07:00 on Tuesday, 03 March 2015, Israeli forces established a checkpoint at al-Samou'a village, south of Hebron. At approximately 07:30, Israeli forces established a similar checkpoint at the entrance of al-'Aroub refugee camp, north of the city. Later, both checkpoints were removed, and no arrests were reported. At approximately 07:30 on Wednesday, 04 March 2015, Israeli forces established a checkpoint at the southern entrance of Halhoul, north of Hebron. Later, the checkpoints were removed and no arrests were reported. · Ramallah: Israeli forces have continued to impose severe restrictions on the movement of Palestinian civilians. At approximately 06:30 on Thursday, 26 February 2015, Israeli forces established a checkpoint at the entrance of Bitello village; meanwhile, they established another one at the entrance of 'Ein Ayoub area, west of Ras Karkar village, northwest of Ramallah. At approximately 16:30, Israeli forces established a checkpoint under the bridge of 'Ein Yabrud village, northeast of Ramallah. At approximately 19:00, a similar checkpoint was established on al-Mo'arajat Road between Jericho and Ramallah. All checkpoints were removed and no arrests were reported. At approximately 10:00 on Friday, 27 February 2015, Israeli forces closed the iron gate of eastern entrance of al-Nabi Saleh village, northwest of Ramallah, and prevented civilians from passing. Around the same time, they established another checkpoint under the bridge of 'Ein Yabrud village, northeast of Ramallah. At approximately 11:00, Israeli forces established a similar checkpoint at the entrance of Nil’in village, west of Ramallah. At approximately 18:00, a similar checkpoint was established at the entrance of Deir Abu Mesh'al, northwest of Ramallah. All checkpoints were removed and no arrests were reported. At approximately 19:30 on Saturday, 28 February 2015, Israeli forces established a checkpoint at the entrance of al-Nabi Saleh village, northwest of Ramallah. At approximately 13:00, Israeli forces reestablished their existence at ‘Attarah checkpoint on the northern entrance of Beir Zeit, north of Ramallah. Around the same time, another checkpoint was established at the entrance of 'Ein sinya village, north of Ramallah. At approximately 17:30, they established another checkpoint under the bridge of Kherbtha al-Mesbah village, southwest of the city. At approximately 20:00, a similar checkpoint was established near the intersection of "'Ofrah" settlement, north of Ramallah. Later, all checkpoints were removed and no arrests were reported. At approximately 10:30 on Monday, 02 March 2015, Israeli forces established a checkpoint at the entrance of Beit 'Oar al-Foqa, southwest of Ramallah. At approximately 14:30, another checkpoint was established on the road to al-Jalazone refugee camp, north of Ramallah near "Beit Eil" settlement under the pretext of training in the area. At approximately 16:30, a similar checkpoint was established near the intersection of Beit 'Oar al-Foqa village, southwest of Ramallah. Later, all checkpoints were removed and no arrests were reported. · Jericho: Israeli forces have continued to impose severe restrictions on the movement of Palestinian civilians. At approximately 09:30 on Friday, 27 February 2015, Israeli forces established a checkpoint at the entrance Fasayel village, north of the city. At approximately 20:00, another checkpoint was established near the entrance of al-Nwei'amah village, north of the city. Later, both checkpoints were removed and no arrests were reported. · Tulkarm: Israeli forces have continued to impose severe restrictions on the movement of Palestinian civilians. At approximately 11:00 on Thursday, 26 February 2015, Israeli forces stationed at ‘Annab military checkpoint which is established on the road between Tulkarm and Nablus, east of the city, tightened their restrictions against civilians and obstructed their movement. Later that day, the tightening ended and no arrests were reported. The tightening renewed at approximately 13:00 and 19:00 on Sunday, 01 March 2015. At approximately 18:00 on Friday, 27 February 2015, Israeli forces established a checkpoint at the entrance of Far'on village, south of Tulkarm. The checkpoint was later removed, and no arrests were reported. At approximately 20:00 on Sunday, 01 March 2015, Israeli forces established a checkpoint on the main road between Tulkarm and Nablus near the intersection of Beit Leed village in area called “Abu Martein”, east of Tulkarm. The checkpoint was later removed, and no arrests were reported. · Salfit: Israeli forces have continued to impose severe restrictions on the movement of Palestinian civilians. At approximately 11:20 on Friday, 27 February 2015, Israeli forces established a checkpoint between the villages of Kafr al-Deek and Deir Balut. At approximately 13:25, the checkpoint was removed, and no arrests were reported. · At approximately 10:00 on Thursday, 26 February 2015, Israeli forces stationed at al-Jalameh checkpoint between Jenin and Israel, northeast of Jenin, arrested Mohammed 'Asri Fayyad (16) from Jenin when he was passing through the checkpoint. The Palestinian Military Liaison later intervened, so he was released. · At approximately 21:15 on Saturday, 28 February 2015, Israeli forces stationed near "Arayel" settlement, north of Salfit arrested Thaer Taysir Ya'qoub Naji (25) from Kafr al-Deek village, west of the city. He was then taken to an unknown destination. · At approximately 10:00 on Sunday, 28 February 2015, Israeli forces stationed at the electronic gates of al-Ibrahimi Mosque in the center of the Old City in the center of Hebron arrested 'Emad Sabri al-Rajabi (19) under the pretext of disobeying the Israeli soldiers' orders. He was then taken to an unknown destination. · At approximately 13:00 on the aforementioned day, Israeli forces stationed at Abu al-Rish checkpoint arrested Saqer Bajes Abu Hamdiyah when he was on his way back from his school that is near the aforementioned checkpoint. He was taken to al-Ibrahimi Mosque police station and was released after a while. · On Monday morning, 02 March 2015, Israeli forces arrested 5 civilians from Kisan village, east of Bethlehem, while collecting 'Aqoub (Gundelia) from a Palestinian land near "al-Fardis" settlement. They detained them for a while and then took them to "Gosh 'Etzion" settlement bloc, south of the city. The detainees were identified as 'Ayesh 'Abayat (24); 'Omer 'Ayesh 'Abayat (21); Subeih Hasan 'Abayat (25); Mahmoud 'Awad 'Abayat (24); and Salman Mohammed 'Abayat (21). · At approximately 07:30 on Tuesday, 03 March 2-15, Israeli forces stationed at Abu al-Rish checkpoint established in the southern side of the old city in Hebron arrested 4 children when they were on their way to their schools. The four children were released later and handed to the Palestinian Military Liaison. The children were identified as Nizar Naser Fayez Ghuneimah (14); Isma'il Sho'ayb Maharmah (14); Ahmed Sa'di al-Rajabi (14) and Baraa' Khaled al-Madhoun (16). · Around the same time, Israeli forces deployed in the old city in Hebron arrested Ihab Maher Abu Mayalah (13) when he was on his way to his school near al-Ibrahimi Mosque under the pretext of having a geometric compass. He was taken to "Karyat Arabaa'" settlement, east of Hebron. · At approximately 20:00 on Sunday, 01 March 2015, Israeli forces stationed at Beit Hanoun "Erez" crossing in the northern Gaza Strip Tariq Ziyad Murtaga (39) from al-Rimal neighborhood in Gaza City. The aforementioned civilian works in his father's company, Ziyad Murtaga Company for Electrical Appliances and Mobile Phones. At approximately 10:00, he went to the crossing upon an Israeli request to have a security interview with him before issuing a permit that would allow him to pass through Erez Crossing. After waiting for hours in the crossing, the Israeli soldiers arrested him for unknown reasons. · At approximately 10:30 on Monday, 02 March 205, Israeli forces stationed at Beit Hanoun Crossing arrested Mohammed Salah Mohammed Salah (48), a businessman from al-Sheikh Zayed in Beit Lahia. He also works in the field of electrical appliances. He was arrested when he was leaving through Erez crossing with his wife, Rubi Saleh. The arrested person is so far under arrest. His wife said that she went with her husband, who got a BMC permit in 2011 and passed via Beit Hanoun crossing dozens of times. His wife was accompanying him under the name of companion of a trader. She added that they intended to perform prayers in al-Aqsa Mosque, and when they arrived at the crossing, Israeli intelligence offocersasked him for an interview and told the wife to wait. At approximately 16:30 on the same day, he asked his wife to leave and go back to Gaza. They also told her that he would be detained for a while and then released to go back to Gaza. She went back to the Gaza Strip, and at approximately 18:00 on the same day, she received a phone call from Ashkelon police telling her that her husband is arrested and pending investigation for 24 hours. · At approximately 18:00 on Saturday, 28 February 2015, Israeli forces moved into al-Shayyah neighborhood, near Ras al-Amoud neighborhood, east of East Jerusalem, after some Palestinian youngsters threw Molotov Cocktails at settlers' guard vehicle that was in the area. They raided and searched a number of houses and indiscriminately fired sound bombs. Israeli forces withdrew later, and neither casualties nor arrests were reported. · At approximately 20:00 on the abovementioned day, Israeli forces moved into al-Helwa area in al-Tour neighborhood, east of East Jerusalem, after some Palestinian youngsters burnt a vehicle belonging to a settler. Israeli soldiers fired sound bombs and tear gas canisters at Palestinian houses and civilians. They withdrew later, and neither casualties nor arrests were reported. · At approximately 04:00 on Sunday, 01 March 2015, Israeli forces raided and searched a house belonging to Emad Khalil in al-Thawri neighbourhood, south of the Old City in East Jerusalem. They arrested his son Khalil (23) and took him to an unknown destination. · At approximately 04:00 on Monday, 02 March 2015, Israeli forces moved into Bab Hetta neighbourhood, in the Old City of East Jerusalem. They raided and searched a number of houses from which they arrested 3 civilians, including a child: Mansour Ahmed Salim (16); Khalil Mo'men al-Shawish (23); and Ma'moun Abdullah Gaith (21). · At approximately 05:00 on the same day, Israeli forces moved into al-Tour neighbourhood, in East Jerusalem. They raided and searched a number of houses from which they arrested 5 civilians, including 2 children: Yusef Tawfiq Abu Jom'a (16), Mahdi Hamza al-Sayyad (16); Mohanned Mohammed Gaith (19); Basel Mohammed al-Halabi (19); and Kamal Naser al-Alami (20). · At approximately 10:00 on the same day also, Israeli forces accompanied by an undercover unit raided al-Shamela School for boys in al-Tour neighborhood, in the Old City of East Jerusalem. Mr. Mohammed Abu Ghannam, head of the students' parents committee, said to PCHR's fieldworker that Israeli forces searched the classrooms, during which a student panicked. It should be noted that Israeli forces arrested a group of students, but the school principal and teachers prevented them from doing so. · At approximately 21:30, Israeli forces raided and searched a house belonging to the family of martyr Samer Sarhan in al-Bustan neighborhood, in Selwan village, south of the Old City of East Jerusalem. They arrested his son Mohammed (11) and took him to Saladin police station to be questioned. · At approximately 02:00 on Tuesday, 03 March 2015, Israeli forces moved into al-'Eizariya village, east of East Jerusalem. They raided and searched a number of houses from which they arrested Ali Bassam Odwan (32) and Dawood Raja Odwan (35). Moreover, Israeli forces handed summonses to Hashem Abu Zeyad (51) and their 3 sons: Jamil, Nabil and Ali to refer to the Israeli intelligence service at al-Zaitouna checkpoint, near the village. It should be noted that Israeli forces arrested his son, Hamza, 21 months ago. · At approximately 10:00 on the same day, Israeli forces moved into Ein al-Louza in Selwan village, south of the Old City of East Jerusalem, after some Palestinian youngsters threw stones at settlers' vehicles. 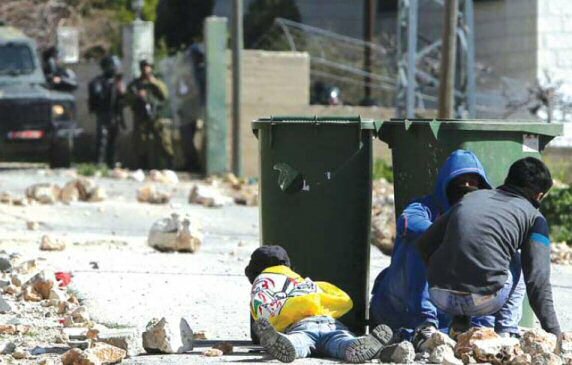 Israeli soldiers immediately fired gas canisters in response and chased some of the youngsters. As a result, dozens of Palestinians suffered tear gas inhalation. In the meantime, Israeli forces arrested Hani Mohammed Sarhan (22) and took him to an unknown destination. 2. A 40-square-meter residential tent belonging to Yaser 'Ali Khalil No'aman Abu 'Aram. · At approximately 10:30 on Saturday, 28 February 2015, Israeli forces prevented Palestinian farmers from reclaiming their lands in al-Sahlat area, south of Qaryout village, southeast of Nablus. They claimed that that these lands are located in areas "C" according to the Oslo accords. "At approximately 10:30 on Saturday, 28 February 2015, I arrived with a group of farmers and volunteers at al-Sahlat area, southeast of Nablus, to reclaim around 200 dunums of the lands funded by the French Consulate. These lands are located in front of 'Shillo' settlement established on the village lands, and there is an Israeli plan to confiscate and seize these lands. On 17 February 2015, we started working on this project and stopped for 2 days due to the weather depression. At the aforementioned hour, we came back to work taking with us a digger which we brought from Qasrah village. As soon as we started working, we were surprised by a number of Israeli vehicles accompanied with a Liaison officer in the area to prevent us from working. They forced us to leave the area without saying the reasons and asked us not to come back and work in the land." · At approximately 14:00 on Tuesday, 03 March 2015, Israeli forces accompanied with a vehicle from to the Construction and Organization Department in the Israeli Civil raided a stone-pet belonging to Jamil Khalil al-Tarwah. The stone-pet is located on Hebron-Jerusalem Road 300 meters to the north of Beit Ummar village. The Civil Administration officer claimed that the Israeli authorities handed a notice to the aforementioned civilian not to construct and expand the work in the stone-pet in 1998. The Israeli soldiers confiscated a DAF truck belonging to Khalaf Shaladah and loaded with boxes filled with stones and took it to "Gosh 'Etzion" settlement, south of Bethlehem. It should be mentioned that its owner was told that the truck is under custody. · At approximately 07:00 on Thursday, the teaching staff of 'Oarif High School for Boys, southeast of Nablus, was surprised with the attack on the school by a group of settlers expected to be from "Yatsahar" settlement and writing slogans against Arabs in addition to drawing David Star at the main entrance if the school from the northern side of the school. It should be mentioned that the aforementioned school and its students have always been subjected to frequent attacks by "Yatsahar" settlers. · On Saturday, early morning, 28 February 2015, a group of settlers from "Metsbi Ya'ir" established on the Palestinian lands confiscated from southeast of Yata, south of Hebron uprooted and cut down 180 olive seedlings, which were planted only 30 days ago. Those seedlings belonging to Houshiyah family are located in al-Swid area, southeast of Yata, and were planted in 20 dunums of the family lands. On International Women’s Day, Women's Suffering Doubled and Unprecedented Due to Consequences of the Israeli Offensive on the Gaza Strip. Women's suffering was not limited to killings that affected them or their families, but it increased because they were forcibly displaced from their houses and were forced to resort to UNRWA shelters amidst inhumane conditions that lack the minimal basic services, including clean water, potable water and environmental health services. Besides, in UNRWA shelters, there was no privacy and there was an unprecedented state of overcrowding in sleeping places. All this added more responsibility and complication to the lives of these women. In spite of protection that is supposed to be offered to civilians, especially women and children, in UNRWA shelters, women were subjected to indiscriminate attacks in those shelters. As a result, 2 women were killed and about 70 others were wounded, while family members were killed or injured in very terrifying scenes. In the West Bank, women's suffering continues due to the Israeli violations against the Palestinian civilians. Women experience harsh conditions because of the Israeli arbitrary practices of killing acts and/or house raids, arrests, including arrests against women and girls, house demolitions, and restrictions on the freedom of movement by permanent and temporary checkpoints. All these measures have increased women's suffering and negatively affected their life. At the internal level, women's suffering has not stopped due to the ongoing gender-based violence, which increased because of the deterioration of economic, social and living conditions in the occupied Palestinian territory. According to PCHR's documentation, 16 women were killed last year in different contexts related to gender-based violence. 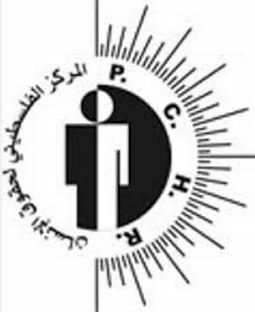 PCHR reiterates its full support for Palestinian women wherever they are and stresses that they live under unprecedented level of human suffering and cruel conditions due to the Israeli practices and violations. PCHR also highlights the need for supporting the Palestinian women by the international and local community.